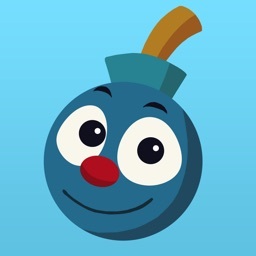 Tap to collect! Trace to build chains! 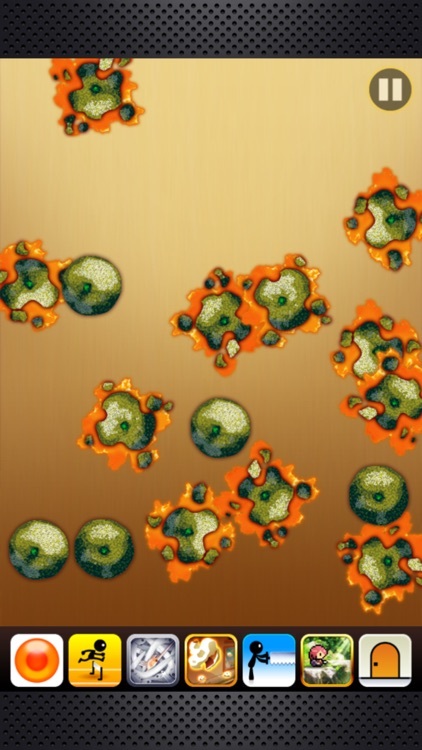 If you leave the rotten tangerines in the crate to sit, they'll spread and make the fresh ones around them moldy! 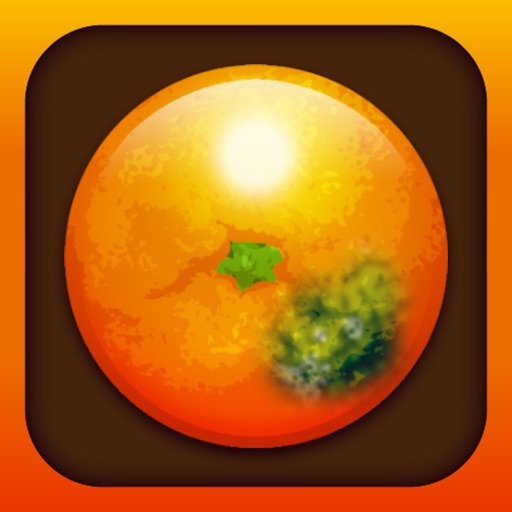 Presenting an all-new fantasy-action tangerine battle game! 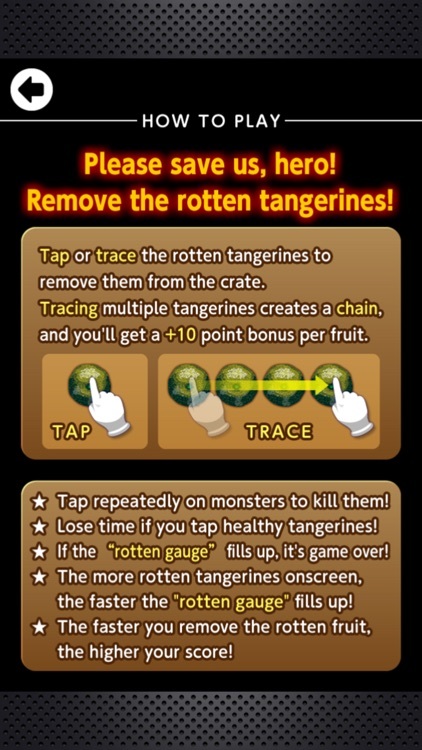 - Tap the rotten tangerines to remove them from the crate! 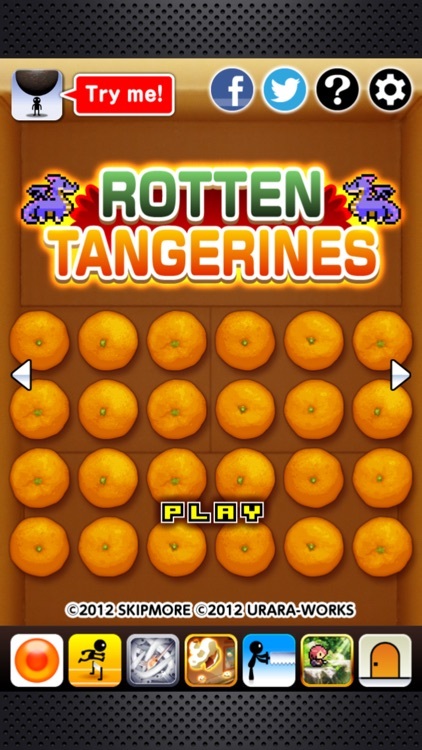 - When rotten tangerines appear in a row, you can trace them with your finger for a chain bonus! 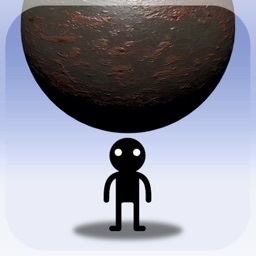 - Tap repeatedly on monsters to kill them! - You'll lose time if you tap the healthy tangerines! 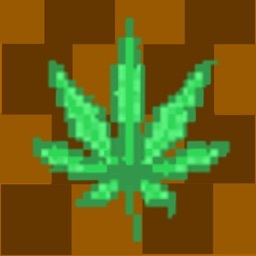 - If the “rotten gauge” at the top of the screen fills up, it's game over! 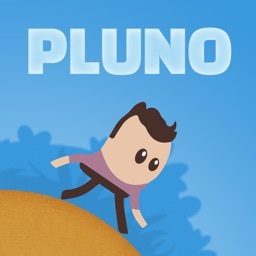 - The faster you remove the rotten fruit, the higher your score! 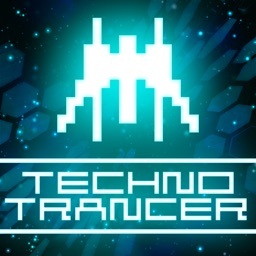 - Supports multi-touch: play with a friend for even more fun! 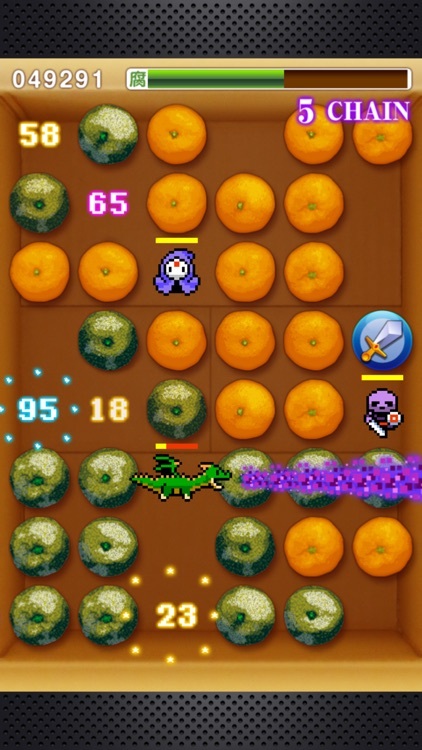 - Bonus: Smash the tangerines you collected in the main Rotten Tangerines game! 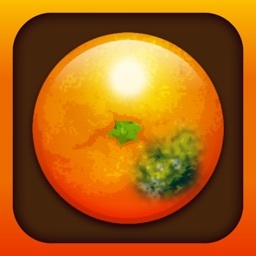 - The more rotten tangerines you collect in Rotten Tangerines, the more available to you to smash in this mini-game! 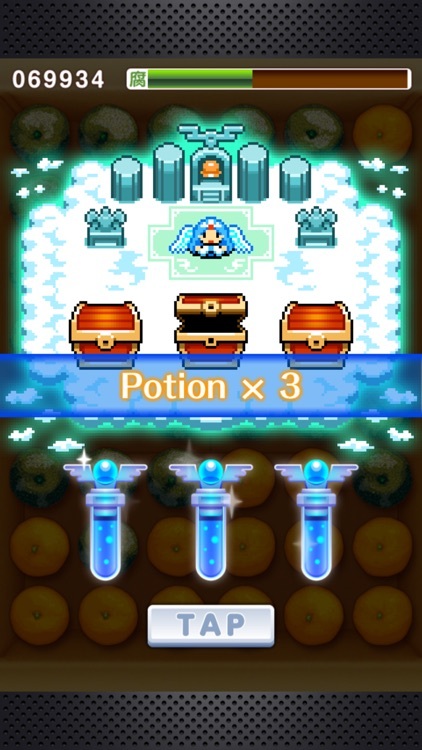 - Once the stock of tangerines runs out, you can go back to the main game to collect more!